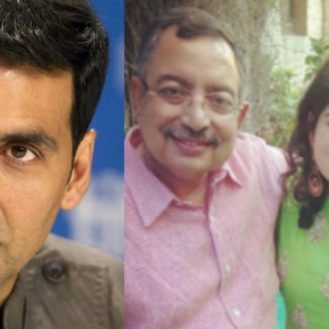 Politicians across the world have their own ways of reaching out to people, and while the likes of Obama and Putin often make headlines for their cool quotient, Indian leaders have a penchant for providing their countrymen with a daily dose of entertainment. 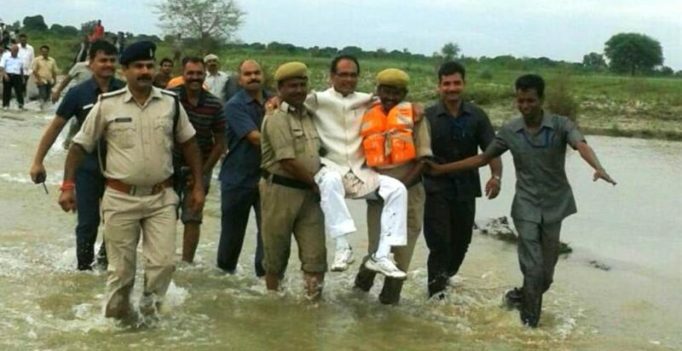 Joining the elite club of most entertaining politicians with the likes of Arvind Kejriwal and Rahul Gandhi, Madhya Pradesh CM Shivraj Singh Chouhan created a buzz on the social media with an image of him being carried around by cops, during an inspection of areas ravaged by floods in his state. As is tradition, tweeple didn’t lose the opportunity to come up with hilarious captions and witty explanations behind Chouhan’s high flying strategy to tackle floods. Everything from Bollywood songs to references to his fashion sense were used for describing Shivraj Singh Chouhan’s mid air throne. After making headlines during the Vyapam controversy, Chouhan sure knows how to stay in the news, and he does it in style.